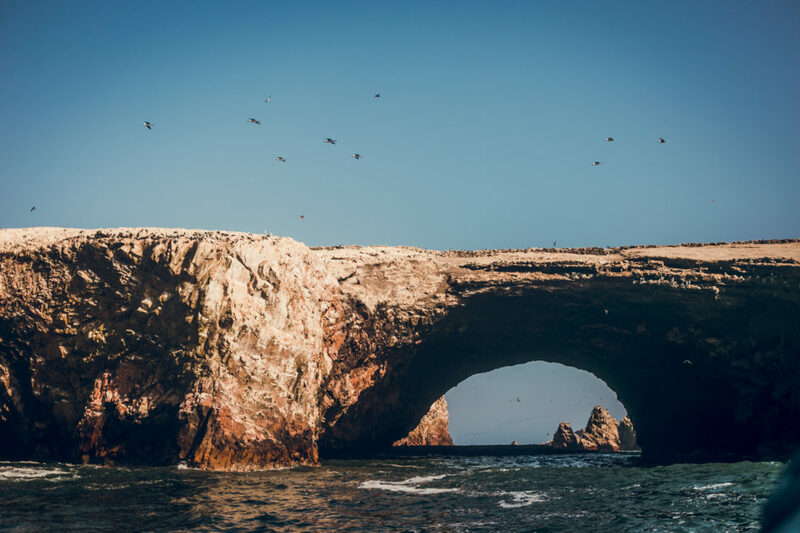 Our second destination in Peru was Paracas, which is well known for its Ballestas Islands. 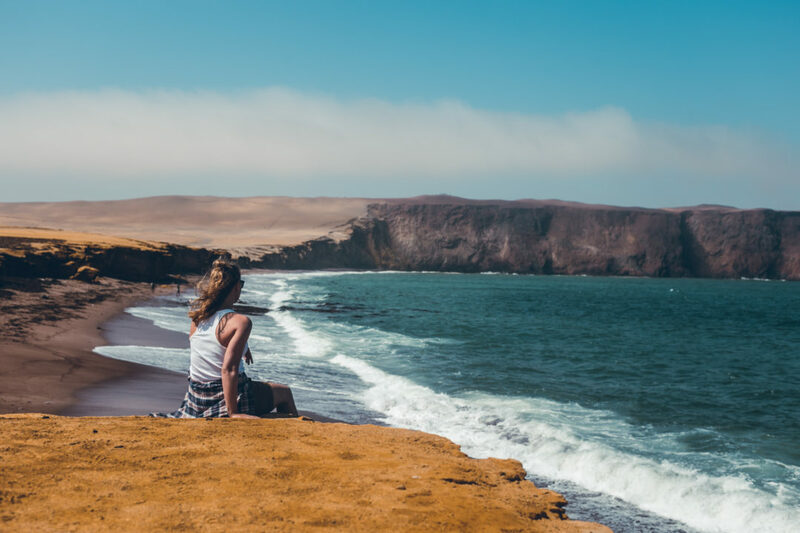 Paracas National Reserve is one of the biggest protected desert reserves in South America; A fantastic desert that meets the ocean. Actually, it is a saline desert formed in the place of an ancient ocean and now home to a large wildlife. Because of its impressive marine and terrestrial wildlife, in 1975 was established as a protected area. 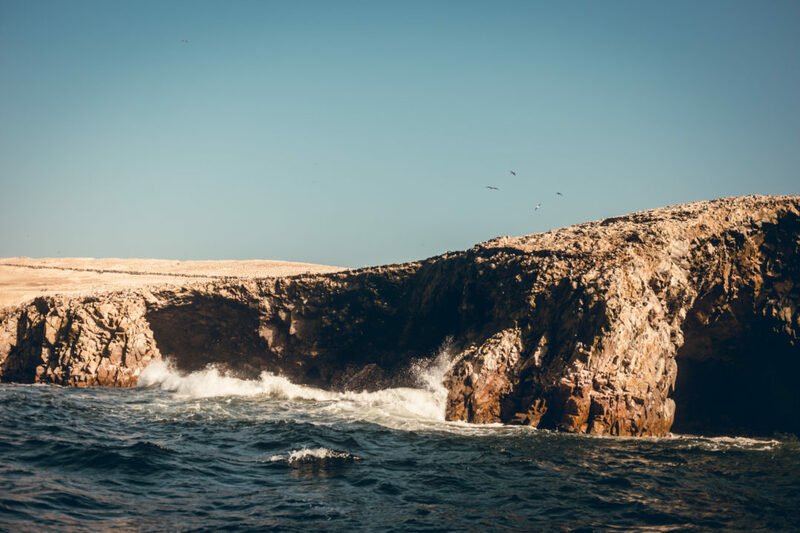 The Ballestas are a collection of rocky islands, just a few kilometers off the western coast of Paracas. The islands are hosting a large wildlife. They are home for a thousand birds and mammals including penguins and sea lions. 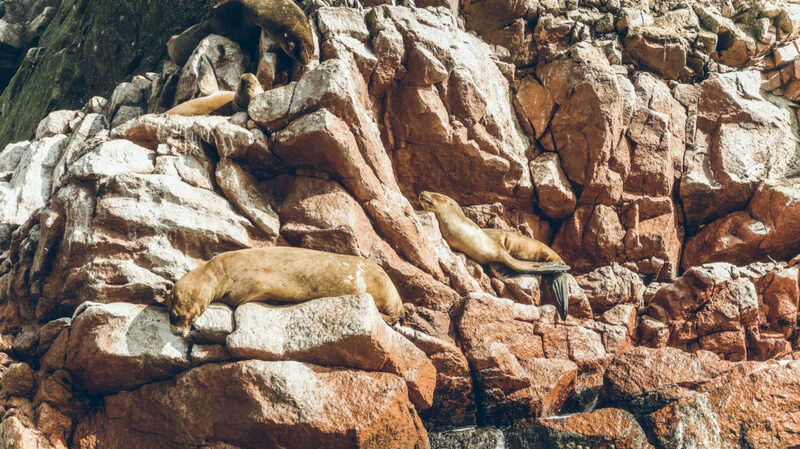 From Paracas, you’ll need to take a 2-hour wildlife-watching boat tour. Peru Hop arranged our tour with a local travel agency and we paid 15 USD. 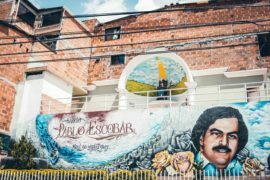 The tour started at 8.00 in the morning and ended at 10.00. 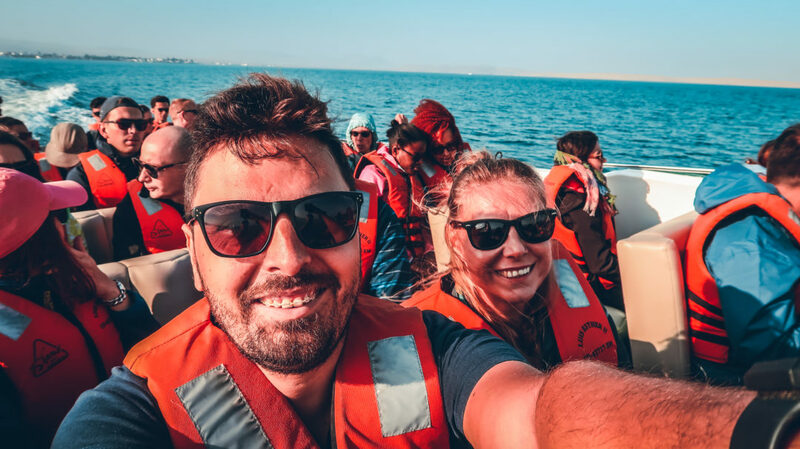 You will sail along the Paracas peninsula. The wind eroded the rock formation in some amazing and mysteries ways. One example is the famous Candelabro. 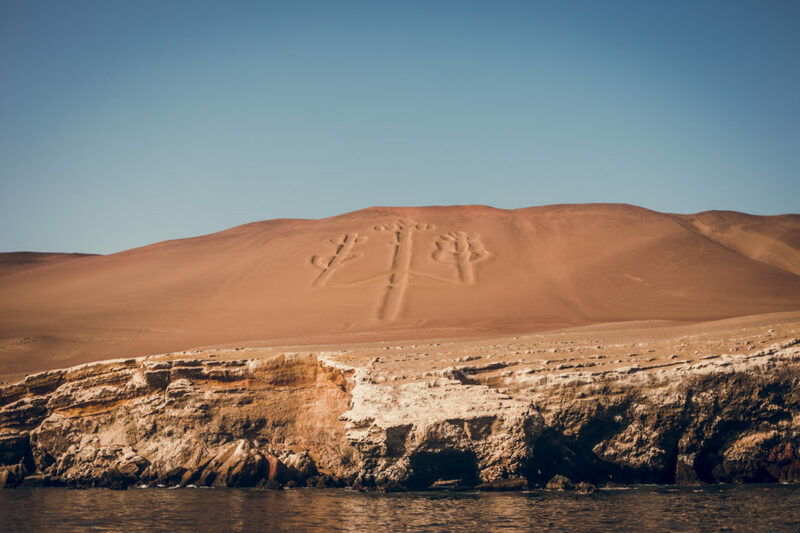 It is a huge geoglyph that dates to 200Bc, the time of the Paracas culture. 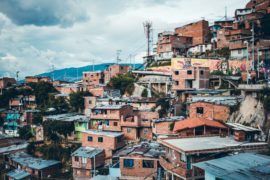 How it remains untouched for centuries on the slope of the hill it is a mystery to this day. Penguins live here due to a cold current that comes from Antarctica. Humpback Whales can be seen here between August and October as they move north for the mating season. But the most important resident of these islands are the birds. With the colonies of birds being so colossal that the government can’t even guarantee an accurate headcount. 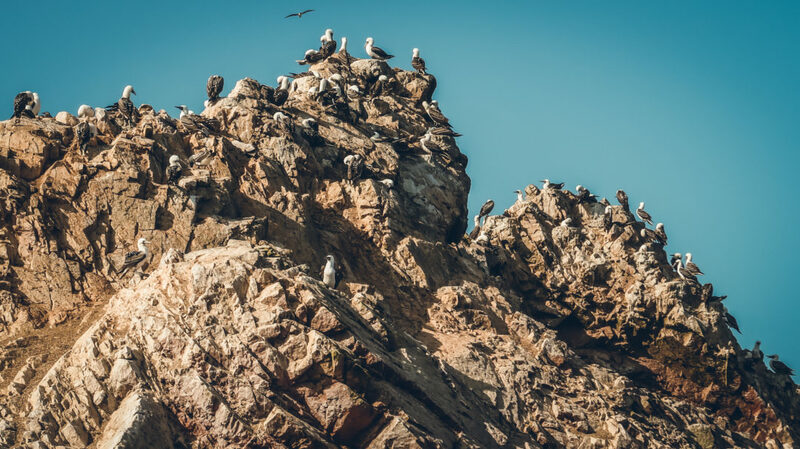 Everywhere you look you will see hundreds of birds flying or resting at the rock formations. 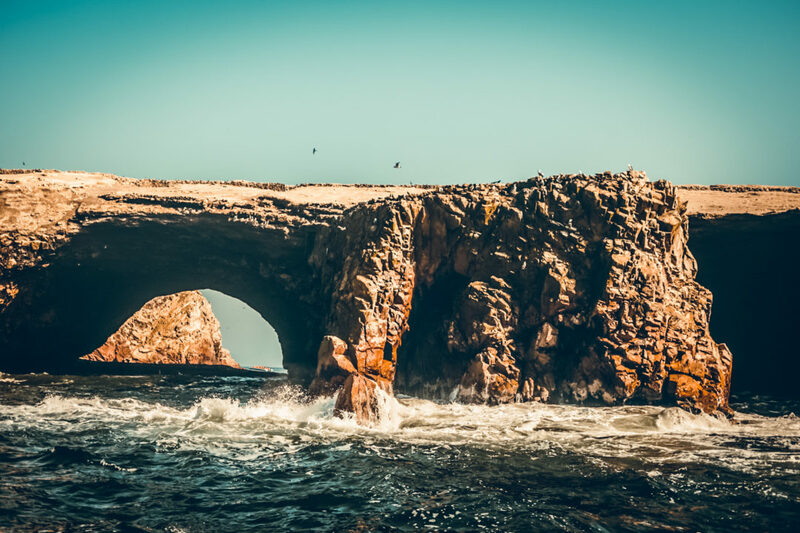 The islands are well known worldwide because of the “guano” which is bird dropping. The best fertilizer and very expensive on the market. All the guano produced and accumulated in the island was collected and sold. 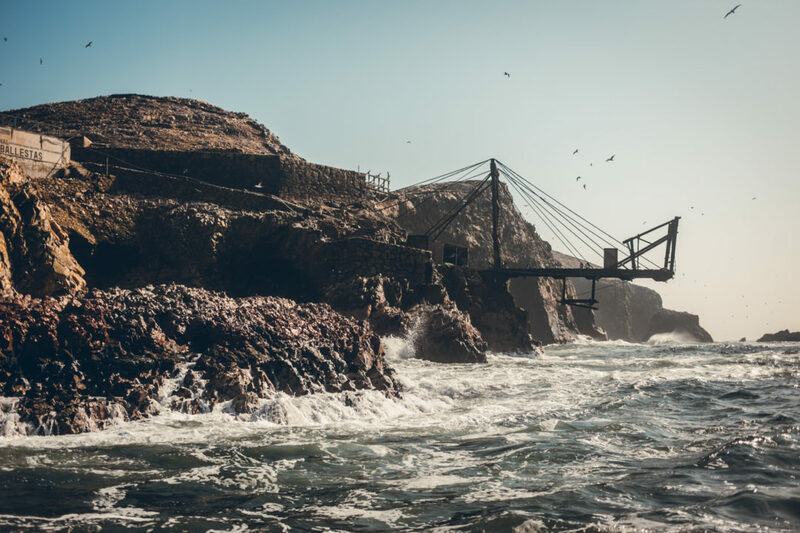 For many years, the Ballestas Islands were a major moneymaking enterprise for the Peruvian people. On the islands, above-ground flora is all but non-existent. 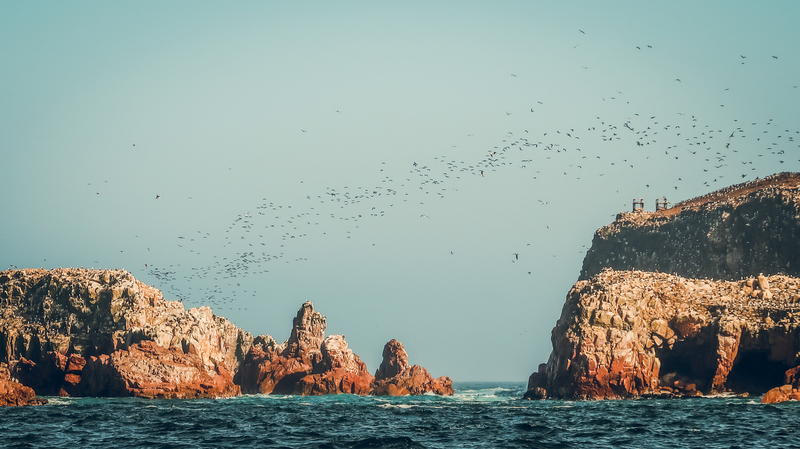 The entire area received very little rain, so nothing grows here, so what makes the Ballestas have such a diverse wildlife? There are currents that spawn over 200 different types of algae, that attract colonies of fish which, and that keep the entire wildlife here happily fed. 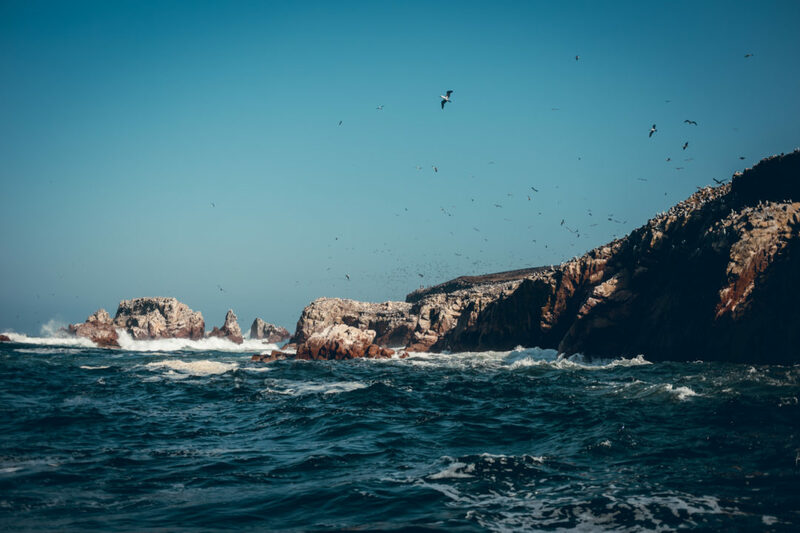 Stepping on the Ballestas Islands is not allowed, so expect to see everything from inside of the boat. Generally, the wind here is very strong and the weather conditions are changed very fast. Brig a wind jacket, sunscreen and glasses.